Which will it be: Third Time is a Charm? Or Three Strikes and You’re Out? Nokia, the world’s largest cell phone manufacturer, is reviving the infamous N-Gage cell phone/game device hybrid this week, reintroducing it as a multiplayer gaming service that will work on its super-popular line of S60 smartphones (125 million sold worldwide). The service will focus first on casual gaming and will offer titles from major publishers like Electronic Arts as well as smaller indie developers that focus on the mobile gaming market. The N-Gage was first introduced by Nokia in late 2003 to compete with portable gaming consoles from Nintendo (DS) and Sony (PlayStation Portable). Nokia, to its credit, had noticed that people were carrying both cell phones and portable game players, and the idea to merge the two into one device was born. Nokia, however, failed to deliver on both the user experience and the design. Owners had to remove the battery to insert gaming cartridges. The speaker and microphone were located on the side of the N-Gage, which led to “sidetalking” and was an awkward and unpleasant experience. 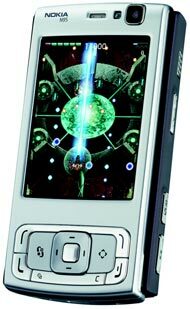 The design was often called a “taco” and the phone was dubbed the “Frankenphone” as it failed to deliver on the cell phone and gaming experiences. 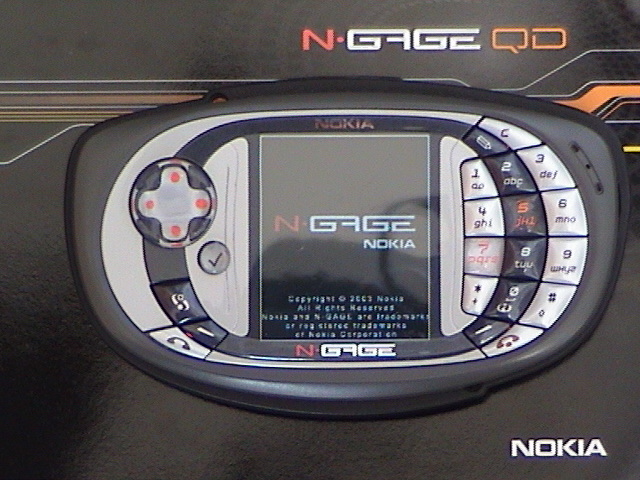 Nokia released a successor, N-Gage QD, in 2004. And while it improved on the user experience and design, the damage was done and gamers didn’t take it seriously. 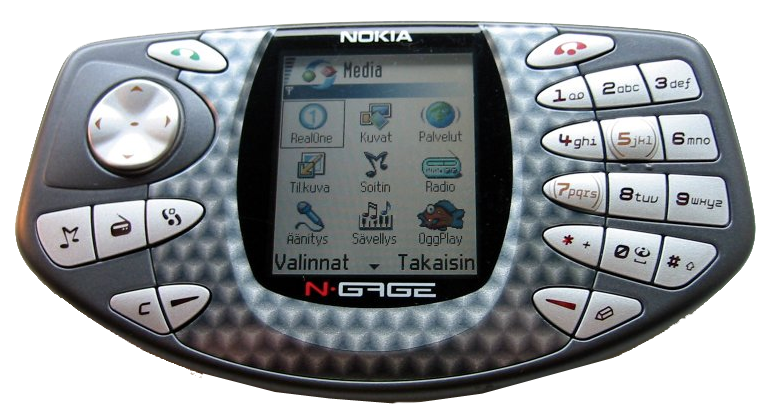 Nokia eventually sold more than two million N-Gage and N-Gage QD devices worldwide, with 50 games having been developed. With sales below expectations, Nokia stopped production in 2005 (but didn’t go dormant). “My impression was nobody took the N-Gage seriously because it was pushed so hard by corporate,” says Dr. Monica Evans, a professor of gaming at the University of Texas at Dallas. Other serious and casual gamers have complained that the N-Gage was “ridiculously expensive” for what it was and there was little software available for it. To its credit, though, Nokia may have been ahead of its time. Technology such as large, crisp displays, graphics, and miniaturization have improved dramatically since 2003-2004, making today’s cell phones much more capable for gaming. Continental Research released a survey recently claiming that mobile gaming is on the increase, while other services are declining. Developers are also excited about the possibilities offered by Apple’s iPhone, especially with the success of games such as “Bejeweled”, which had 100,000 hits on its Web site in the first three weeks after its release. All of which gives N-Gage version 3 a fighting chance, if done right, and if it can overcome the negativity of the original product. To eliminate past errors, Nokia partnered with famed U.S. design firm IDEO and in 2005 and 2006 members of Nokia’s design team spent time with IDEO researchers and designers in San Francisco and six cities around the world, including Barcelona, Tokyo, and Shanghai, to study how people played games on their phones. Together Nokia and IDEO developed ideas for the N-Gage multiplayer service. N-Gage functionality now stretches across a range of devices, which Nokia hopes will improve adoption of both the N-Gage multiplayer service and sell more smartphones (Nokia owns 37 percent of the market share for cell phones). Now friends can play each other, not just friends who happen to own N-Gage devices. Players can sample games before purchasing them, recommend games to friends and other players, compete in large tournaments, and see the points earned by others before engaging in a game, so as not to be crushed by more experienced players. Maybe this time Nokia has hit on a winner for the N-Gage. Maybe not. After all, back in 2003-2004, Nokia’s chief competitors were Nintendo and Sony, who are still leading the pack. But now there’s Apple and the iPhone, web-based games that can be played on web-enabled cell phones and smartphones, the cell carriers like Verizon and AT&T, and the phone manufacturers themselves, all wanting a piece of the gaming pie — the one Nokia could have eaten for itself years ago. Photo credit: IDEO image from IDEO. The phone is great but could use a little bit more of reatures such as a camera. t deosnt have to be a top rage camera or large pixels but something small and simple to capture those important moments. Another is 3G to allow us users to have full sceen viewing tv. In terms of gaming, its the best that nokia has done so far. I hope the next N-gage might be bigger than the QD coz size matters. am still using the first N-gage and its still a good machine for me and i prefer it than the second one bcoz of size.Can u please inform me as soon as the next N-gages is released, i want to be one of the first few people to have.